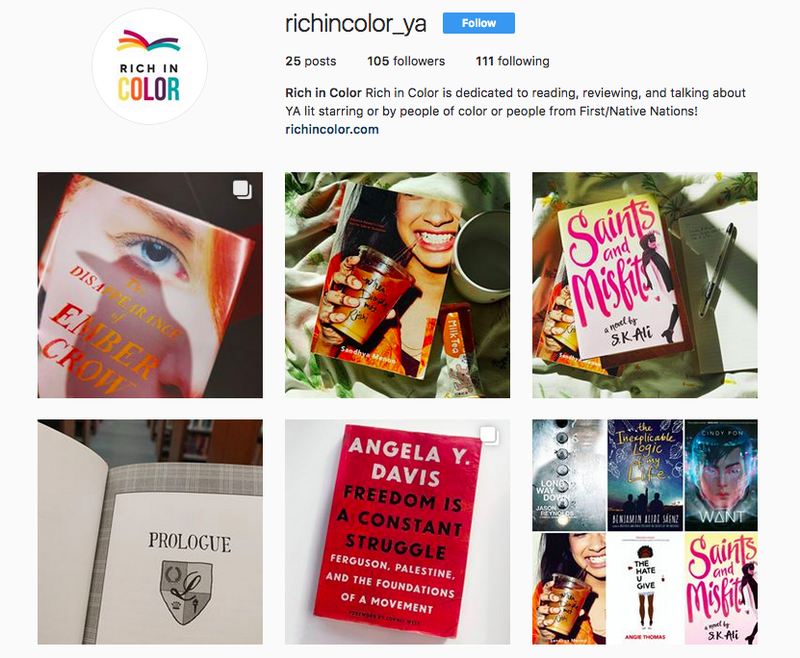 What have we at Rich in Color been up to this winter? First of all, there’s that giveaway we did (thanks to everyone who entered!). Of course, we also curled up with some hot cocoa and a lot of great reads. And finally, we jumped into Instagram! That’s right, we’re on #bookstagram now. Head on over to instagram.com/richincolor_ya for our current reads, library finds, and cups of tea — all centered around YA lit by/about people of color or people from First/Native Nations (with a few non-fiction and non-YA books thrown into the mix!). Give us a follow, chat with us in the comments, and share with us what you’re reading right now! And if you’ve got any #bookstagram tips, let us know! We’re new in the #bookstagram world and still learning. Posting photos turned into a real trip down memory lane! 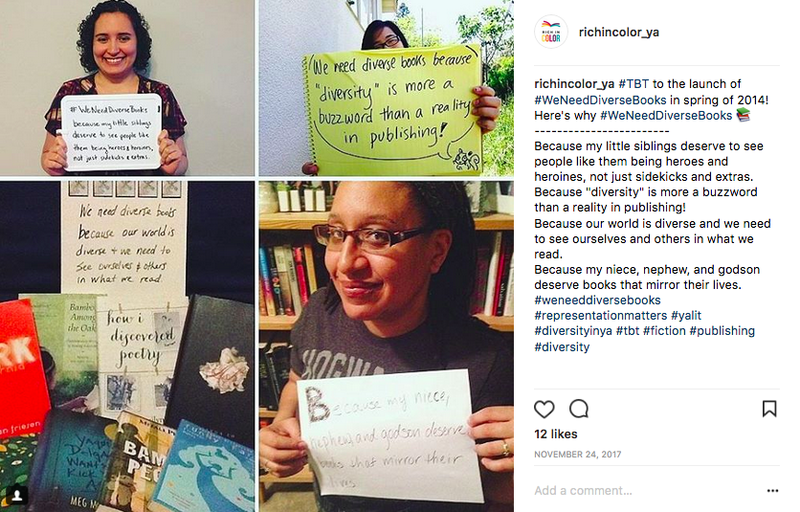 Here’s a #TBT of our contributions to the #WeNeedDiverseBooks hashtag back in spring of 2014 when it first launched. Do you remember that? Talk about a throwback! And of course, you can find Rich in Color on Tumblr (richincolor.tumblr.com) and Twitter (twitter.com/rich_in_color) as well. We post, retweet, and reblog different things on each platform, so pick whichever one suits you the most. With so many wonderful new YA reads on the horizon, we’re super excited for what’s next both in the YA world, and for this blog right here, Rich in Color. What are YOU excited for in YA lit this year? Share with us!